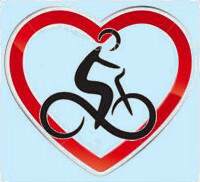 ﻿ Our Responsible Travel Policy- Provence Cycling Holidays, self guided bike tours in the Luberon, Provence, France. OUR RESPONSIBLE TRAVEL POLICY AT THE B&B. Our aim is to provide low environmental impact, small scale self guided cycling holidays, with a real flavour of Provence rather than mass marketed large scale tours. We live here, know the area well and aim to pass this on to our guests. We are based in the Luberon Regional Park, an area under cultural and wildlife protection. Guests stay at our 17th century farmhouse (restored following strict cultural & environmental legislation) for all of their stay, thus avoiding the daily use of transport to move between hotels. Our aim is to provide an excellent level of comfort without wasteful luxuries. Rooms are very comfortable, as are the bathrooms (all with shower facilities), we don't have aircon because we get the same results from thick walls and shutters. We provide breakfasts and 3 evening meals from fresh local produce wherever possible. We have large grounds where every effort is made to reduce water consumption. We look to support smaller local businesses wherever we can, we recommend and use primarily, family run restaurants & cafes, smaller local vineyards, local farmers etc. The activities we suggest are primarily cultural (given the nature of the area), thus with low environmental impact (village walks, churches, museums, protected Roman sites). We provide guests with our Real Provence and our Restaurant guides which recommend local services and sights (Farmers markets, Restaurants, Vineyards, Monuments etc) all of which employ predominantly local people. We also use local suppliers wherever possible for work at the B&B (plumbers, roofers, cleaning, bike shops etc). As mentioned above we source as much local produce as possible for meals at the B&B. We find some excellent traditional products as well as top quality local produce from our village farmers market (in order to sell at the market the produce can not be grown more than 10kms away, thus reducing transport needs and improving quality). Breakfast produce is sourced from the local traditional bakers (500 metres away) , we use home-made jams and local fruit. 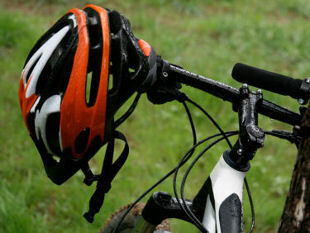 Rides - The vast majority of our rides use quiet backroads & designated bike routes. Full recycling - All refuse is sorted & recycled via the village recycling facilities. Water treatment - All used water & waste is treated by bacterial break down & our water run off system. Garden watering - Our garden only has varieties that work well in the local climate ֠ie that don't need a lot of water. Any watering required is managed electronically by dropper system do deliver the amount of water required at the right time - watering is done during the night to reduce surface evaporation. Towels & Laundry - Towels are not changed every day but on request. Linen is changed on request every 4 days. Low temperature washing is used and sun drying. House insulation - The house has an excellent insulation rating, in part due to the thick stone walls, which keep the house cool in the summer and warm in the winter. As a result, we do not have and do not need air con. Responsible food sourcing - Locally produced food is used whenever possible. Paper usage - as a sole trader operating almost entirely via lap top and the web I have very little use of printed materials. All correspondence is via email & phone. 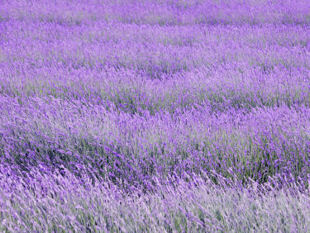 Our Real Provence guide (received on arrival) pushes guests towards local projects of rich historical and cultural value. The use of local goods and services provides valuable revenue and jobs for the local economy in an area that has traditionally high unemployment rates. The area has a large farming sector and little industry ֠tourism is very important to the area, providing an alternative source of revenue.